Free-agent slugger Carlos Beltran is in Kansas City meeting with the Royals front office. 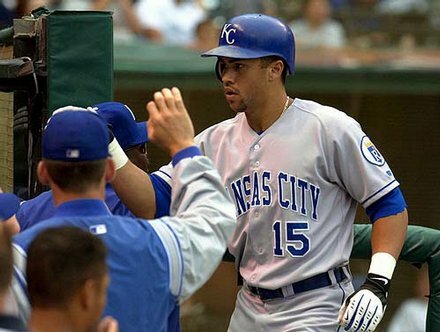 The club is hoping for a big-bang reunion with Beltran, who began his career in Kansas City in 1998. He was traded to the Astros during the 2004 season. He batted .287 and compiled a .835 OPS for the Royals. Most impressively he produced four seasons of 100 runs and 100 RBI in a five-year span from 1999-2003. Beltran arrived in Kansas City on Monday and is staying through Tuesday to meet with club officials and listen to the Royals’ pitch to have a homecoming with the right fielder. The Royals most likely will need to be willing to go to three years to sign Beltran. The Mariners also have a big interest in adding a bat like Beltran’s and are expected to make a serious offer to Beltran to get him to be their designated hitter. ESPN reported Beltran has a three-year offer on the table for $48 million, though it did not specify which team made such an offer. The leader in the Beltran sweepstakes is the Yankees because of their payroll and chances to make the playoffs. The main reason Beltran is still a major free agent at the ago of 36 is because he brings a clutch bat that can push these teams into the playoffs. The Royals have seen in first hand how important Beltran can be in a lineup. One thing they haven’t been able to see is what he can do with hitters around him such as Billy Butler and Alex Gordon. Signing Beltran will help Butler and Gordon’s RBI numbers because Beltran gives protection to the middle of the lineup. At some point fans and front office executives will have to worry about carrying two designated hitters on the same team in aging Beltran and Butler. The Royals may be able to play Beltran in right field for this season but in 2015 he will be most effective as a DH. I personally wanted the Royals to pull the trigger for Dexter Fowler for one of the relievers. This trade made sense because the Royals needed another outfielder and had a surplus of relievers. The Astros were able to jump on the low asking price the Rockies put out there on Fowler. The best-case scenario would be the Royals sign Beltran and in 2015 they decide to move Butler for a needed piece at that time. The only way this signing makes the Royals better is if both Butler and Beltran are in the lineup together for the first two years. In addition, if the Royals can’t make that work, the return for Butler should be high because of his consistency at the plate. While the Royals will lose their draft pick to the Cardinals for signing Beltran, they will gain a draft pick from who ever signs Ervin Santana. Lastly, The Royals lineup next year will look like this… LF Gordon, RF Beltran, 1B Hosmer, DH Butler, C Perez, CF Cain, 3B Moustakas, SS Escobar, 2B TBD. This lineup now puts fear in opposing pitching staffs. If the Royals are able to sign Carlos Beltran it will most likely be their biggest free agent signing since David Cone. The cheers at opening day when Beltran takes the field will be the loudest I will hear at the K in my short life so far. This entry was posted in Baseball, Baseball, Home, Midwest, National and tagged Billy Butler, Carlos Beltran, Dayton Moore, Royals. excellent writing skills whoever this Montgomery guy is.